Last reviewed by Editorial Team on October 14th, 2018. A pill with imprint 44-292 is identified as Ibuprofen 200 mg tablet which is brown in color and is capsule-shaped. The main supplier of this drug is Walgreen Company. Ibuprofen is mainly indicated for the treatment of back pain, sciatica, toothache, headache, and gout. This drug belongs to the class NSAIDs i.e. Non-steroidal anti-inflammatory agents. Before 30 weeks of gestation, the risk of Ibuprofen cannot be ruled out in pregnancy. Human fetal risks are also reported during pregnancy while using Ibuprofen. Ibuprofen 200 mg is not a controlled substance under the Controlled Substance Act (CSA). Drug class: This compound belongs to the class of organic compounds known as phenylpropanoic acids. These are compounds with a structure containing a benzene ring conjugated to a propanoic acid. Ibuprofen is mainly indicated for the treatment of inflammatory diseases, pain, and fever. It is also used for providing relief in mild to moderate pain, primary dysmenorrhoea, and in pain associated with arthritis, and osteoarthritis. Ibuprofen possesses different legal status in different countries. In Australia: Iburpofen comes under prescription drugs or Schedule 2 drugs, which means it is considered safe in use but counseling is advisable if necessary. Also it means that this drug can be used for minor ailments (such as: symptoms recognizable by consumers or the symptoms which does not require medical diagnosis). In Canada: Ibuprofen is legalized as OTC drug (Over the counter drug). In United Kingdom: It is legal under General Sales List (GSL and OTC), which means it can be sold anywhere such as supermarkets and there is no pharmacy traning is necessary to sell these medications. Moreover, these medications are considered as safe if taken in proper amount. In United States: It is legalized as OTC (Over the counter) medication as well as a prescription drug. A prescription drug, in contrast to OTC drug, requires medical prescription to be dispensed. 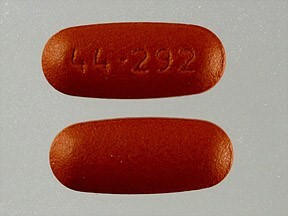 What are different brand names for 44-292 pill? 44-292 pills contain ibuprofen which comes under various brand names such as Advil. Motrin, Nurofen, Betagesic, Desmenol, Dorovil, Eve, Fenbid etc. As per its strength, Ibuprofen is available both over the counter medication and by prescription medication as well. Prescription Motrin has the same active ingredient but has been discontinued. The lowest GoodRx price for the most common version of ibuprofen is around $7.14, 81% off the average retail price of $38.37. Ibuprofen inhibits the enzyme cyclooxygenase which is an enzyme involved in prostaglandin synthesis via arachidonic pathway. 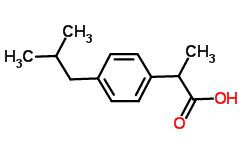 However, the exact mechanism of Ibuprofen is unknown. It is known to inhibit the COX enzyme which is involved n the synthesis of prostaglandins responsible for mediating pain, fever, headache and inflammation. Antipyretic effects may be due to action on the hypothalamus, resulting in an increased peripheral blood flow, vasodilatation, and subsequent heat dissipation. Inhibition of COX-1 is thought to cause some of the side effects of ibuprofen including GI ulceration. Can 44-292 pill cause dependence? Ibuprofen is very less likely to cause dependence. You cannot develop physical dependence on Ibuprofen. The physical and psychological dependence is caused by the drug of choice of people and people get addicted to such medications. Ibuprofen has neither of these characteristics. Ibuprofen does not cause any kind of withdrawal symptoms when you stop taking it and also your body does not develop tolerance to Ibuprofen after you stop taking it. Ibuprofen is well absorbed after oral administration, within 1 to 2 hours of administration; it attains a peak plasma concentration. It starts its action within 1 hour after administration and starts showing pain relief or antipyretic activity. The peak plasma concentration-time doubles if the Ibuprofen is taken with food because food reduces the peak plasma concentration by 30 to 60 minutes. Ibuprofen has more than 99% of plasma protein binding. It is extensively metabolized and excreted in urine as metabolites. Ibuprofen has a half-life of 1.8 to 2.4 hours. How long 44-292 pill stays in the system? Ibuprofen has a half-life of 1.8 – 2.4 hours and the elimination time of any drug is five times to that of elimination half-life of that drug. Therefore ibuprofen is completely eliminated from the body in 24 hours after taking the final dose. Peak concentrations of the medication affect the body within 1 to 2 hours, as per National Centre for Biotechnology Information.